The Government of Australia is providing AU$2.30 million (US$1.73 million) in additional financing to the ongoing Nuku’alofa Urban Development Sector Project, which will help improve social services delivery in the country’s capital. The project, cofinanced by the Asian Development Bank (ADB) and the Governments of Australia and Tonga, was approved in October 2011 and is designed to improve living conditions and boost Nuku’alofa’s urban population’s access to municipal services. The additional assistance will provide further support to the project including upgrades to water supply, sanitation, and other facilities at Teufaiva Stadium. Additional capacity building for water supply and sanitation services, as well as additional sanitation awareness programs in Nuku’alofa will also be provided. With a total financing value of $16.57 million, the project targets six components of Nuku’alofa’s urban services including a strengthened policy environment for the delivery of urban services and improved water supply and solid waste services. It will also bolster community awareness of urban services such as planning and household management of solid waste, while highlighting the public health benefits of safe waste disposal. “Australia is pleased to respond to the Government of Tonga’s request for the development of new priority infrastructure projects and for the improvement of social services delivery in Nuku’alofa. Our continued urban development support for Tonga, in partnership with ADB, will also help build disaster and climate change resilience,” said Rhona McPhee, Australia’s Deputy High Commissioner. ADB has been working with the Government of Tonga since 1972. 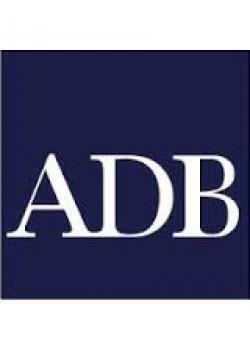 It has approved 17 loans and 17 grants totalling $157.3 million from the Asian Development Fund, and 66 technical assistance projects worth $22.42 million.